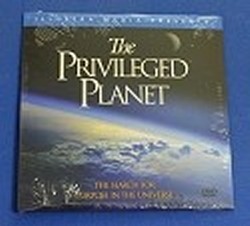 The Privileged Planet DVD $6.00 with $100 purchase. The Privileged Planet - Documentary (2006) Is the Earth anything special or just another rock in the universe that got lucky? Einstein said "The most incomprehensible thing about the world is that it is comprehensible." Can that be the result of just luck, or something more? Watch the video and decide for yourself.